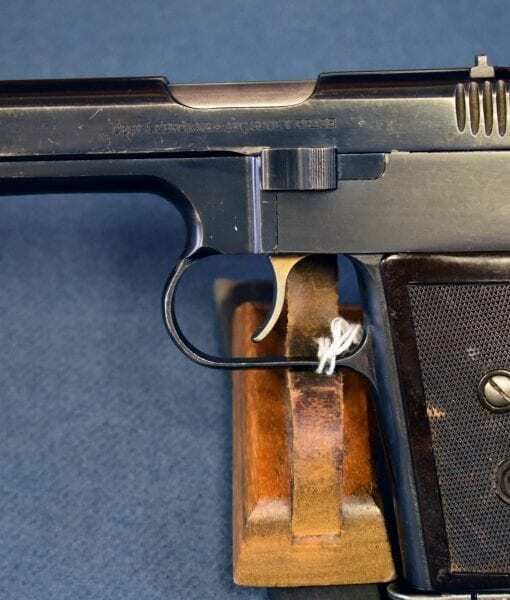 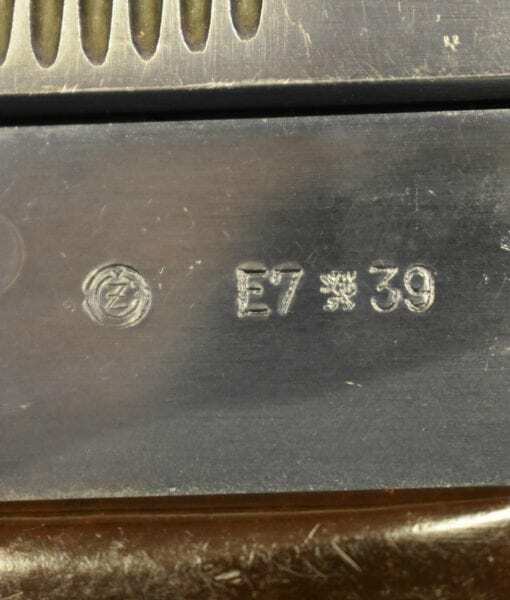 SOLD CZECH Cz38 / NAZI P39(t) PISTOL…… FULLY RIGGED OUT….. WITH RARE HARDSHELL NAZI HOLSTER…….MINT SHARP!!! 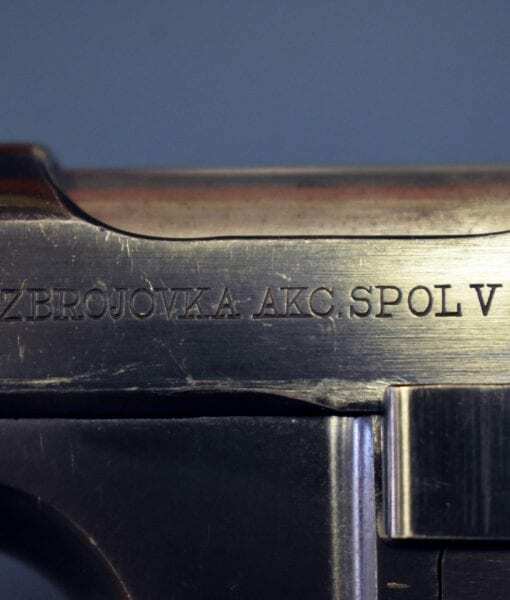 In 97% mint condition we have a seldom seen .380 acp caliber, double action only Nazi issued P39(t) / Czech made Cz38 Czech Service Pistol. 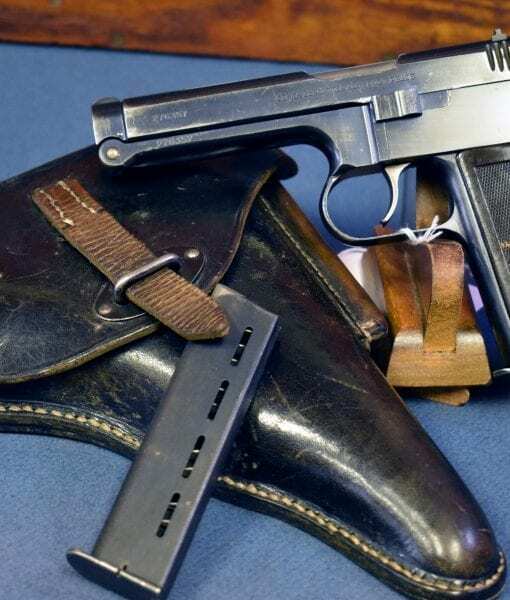 This pistol is fully rigged out and was vet brought back just as you see it, with the spare mag and a rare DLWP 1940 holster that is marked P39(t). This highly innovative but terribly ungainly design was going to be the new Czech Service pistol had the Germans not rolled in March 1939, and they might well have done them a favor in this respect. 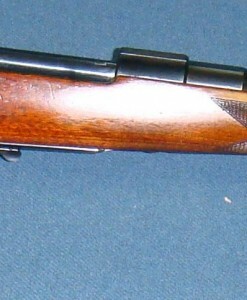 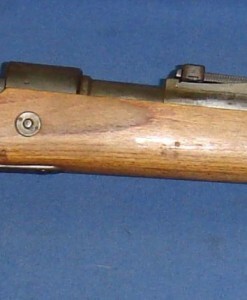 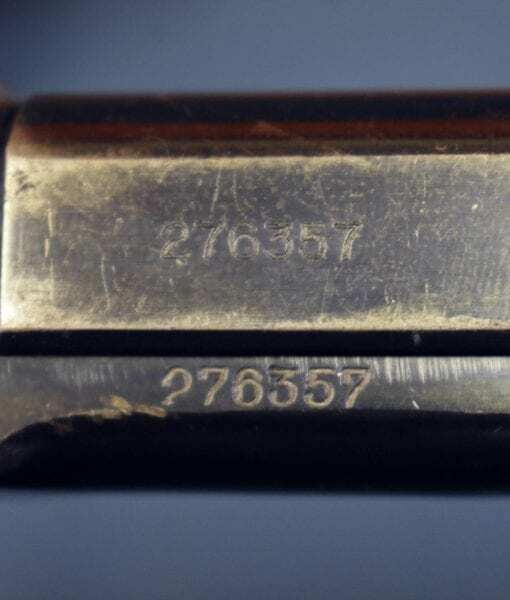 None the less the pistol starved Germans re-issued most of these guns to the army and also sent 3000 to the Luftwaffe. 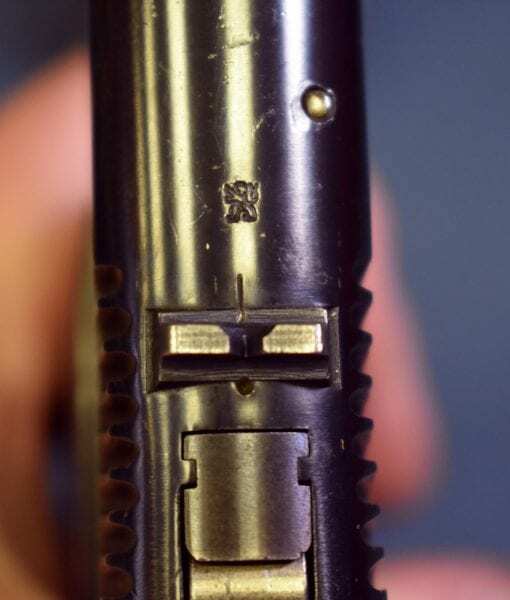 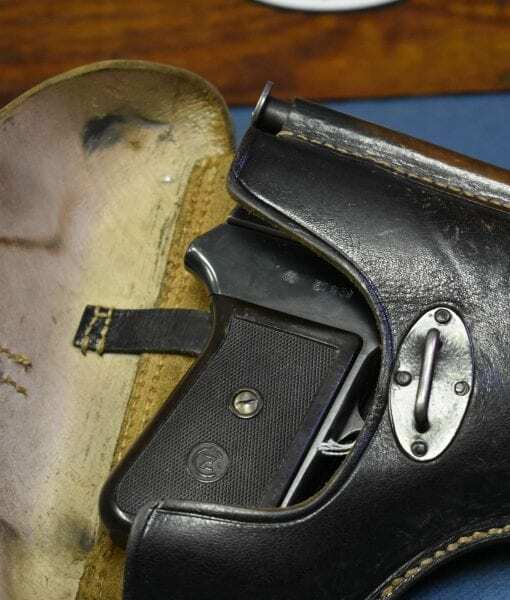 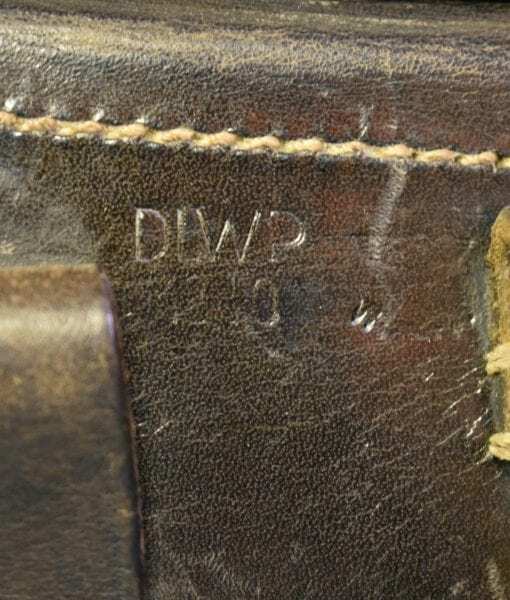 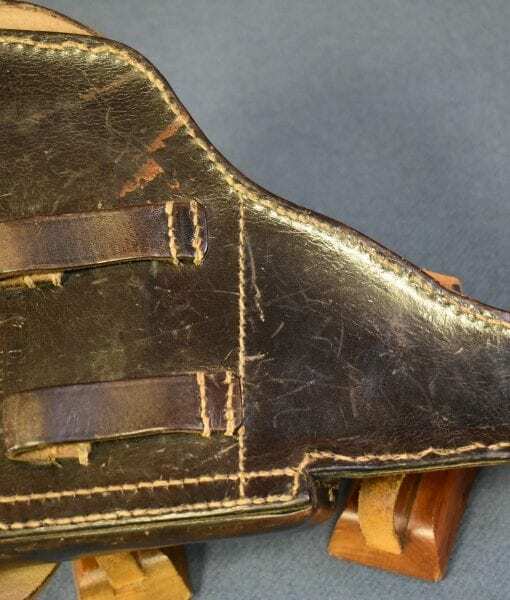 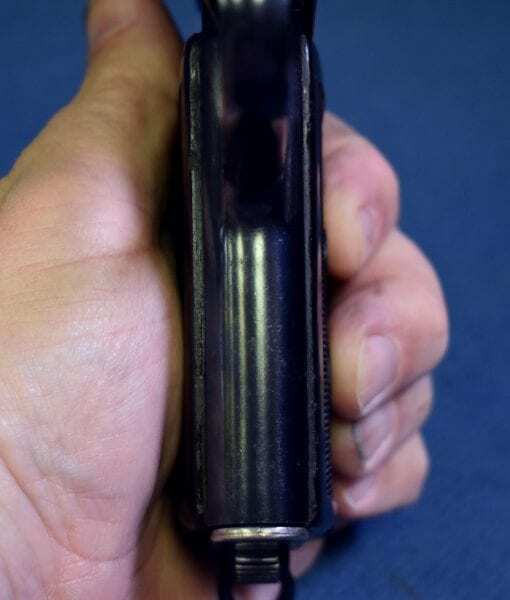 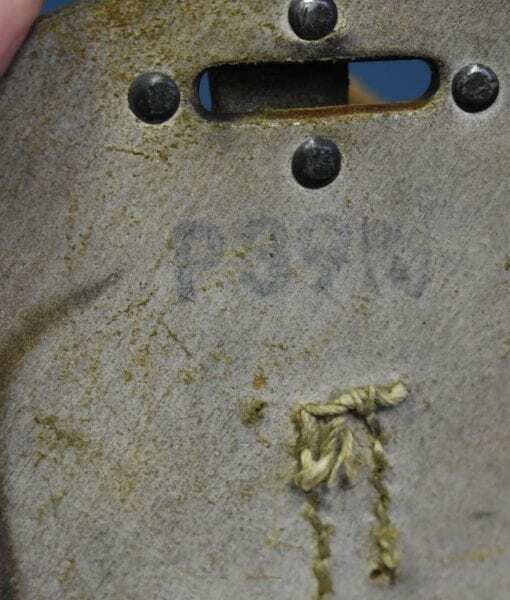 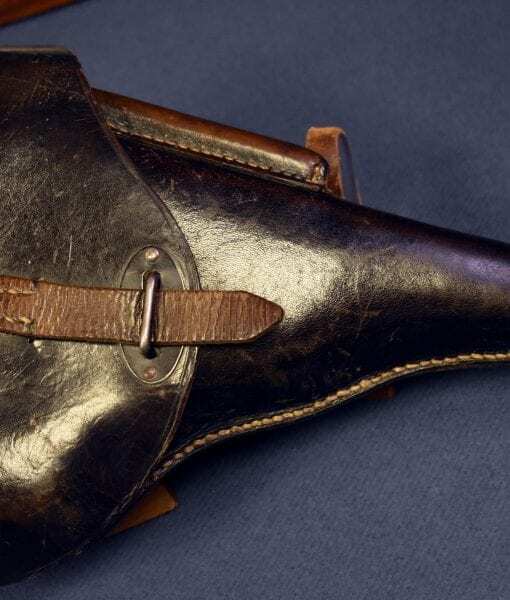 A hardshell holster was issued Today collectors often mistake the holster for a P.38 holster as they are almost indistinguishable, however they are marked P39(t). 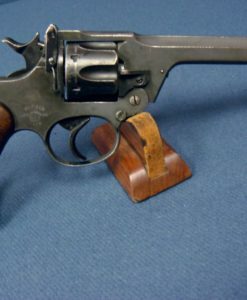 These pistols were also shipped to Finland as well. 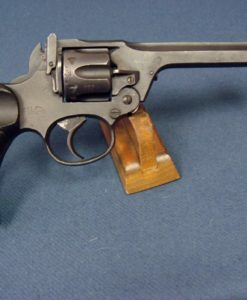 This is without question from an aesthetic standpoint the most hideous looking German used pistol of WW2 and while it was better than many handguns of the time it was also very under powered for its size due to the mild .380 round it fired. 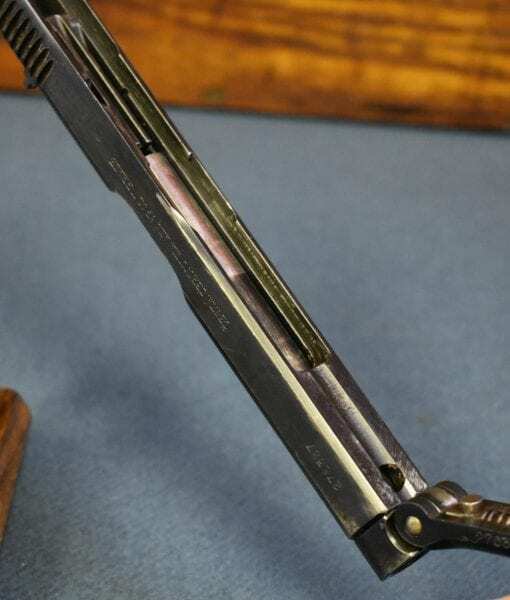 If you want one of these for your collection the best way is just to buy the complete rig as we are selling here, they are repulsive looking but highly fascinating at the same time. 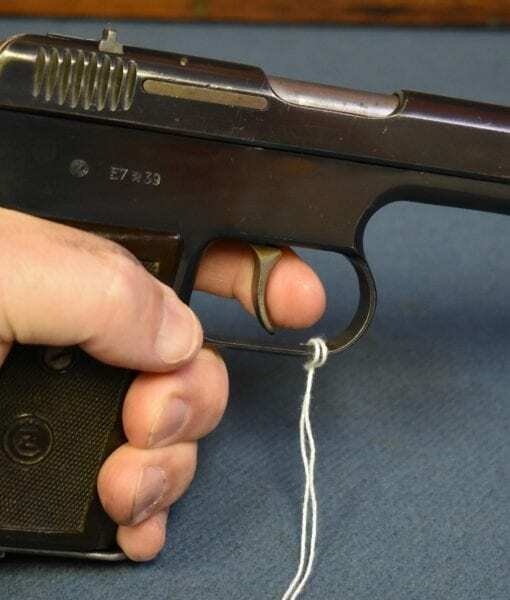 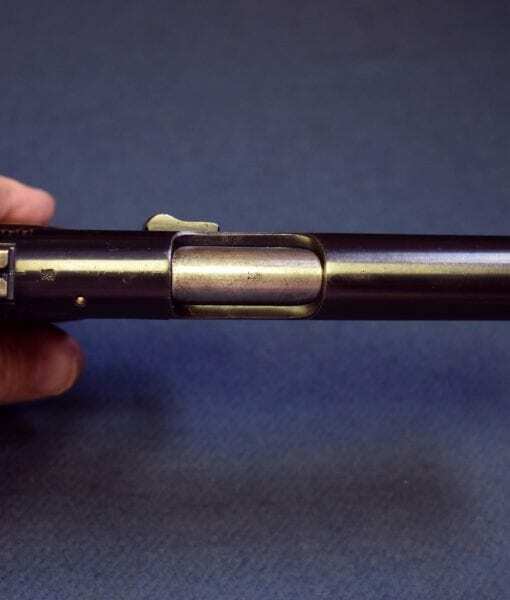 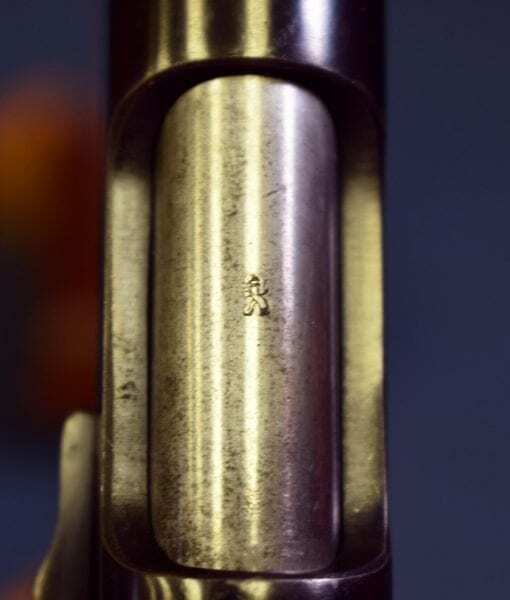 The one thing they have going for them is that they are the easiest pistol to take down and clean, just push the takedown lever forward the the barrel tips right up and the slide slips off.